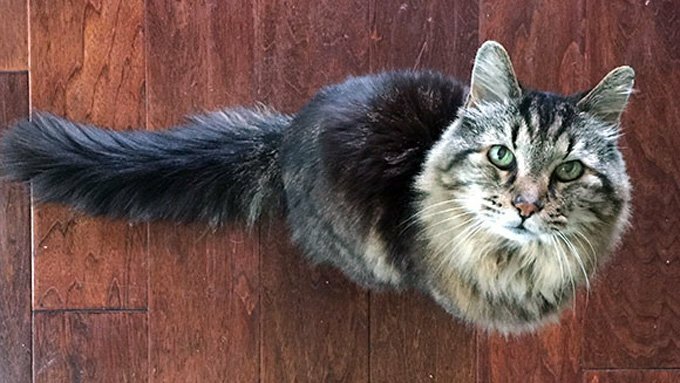 Corduroy the cat is an incredible 26 years old, which according to Guinness World Records makes him the oldest living cat around today. That’s pretty amazing seeing as a cat’s average lifespan is only 15 years. He’s got that beat by over a full decade. The elderly kitty held the title in 2014, but lost when the owner of a cat named Tiffany Two submitted a claim and beat Corduroy’s record. Sadly, Tiffany Two passed away at the age of 27 years and 2 months, leaving the title to Corduroy again. Corduroy’s owner is very proud of her companion. She said she’s had her buddy since he was a kitten and she was only seven years old. They’ve pretty much been lifelong pals. To celebrate, she bought the distinguished feline a toy mouse because you’re never too old to play. Even though Corduroy is the oldest living cat in the world, he has a long way to go before he catches the title of Oldest Cat Ever. That distinction goes to Crème Puff, who was born in 1967 and lived until 2005. For those of you who don’t feel like doing the math, that’s an astonishing 38 years. Still, we hope Corduroy is around for a long time and gives old Crème Puff a run for the money!